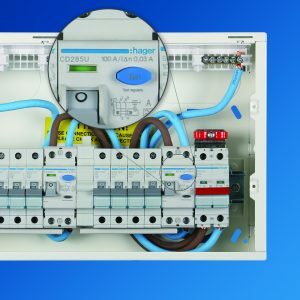 Ian Smith, Marketing Manager at Hager, discusses the primary areas of concern for electrical contractors in the run-up to the 18th Edition, as well as a comprehensive white paper that looks at changes to overload protection of RCCBs and switches within consumer units. A new regulatory landscape comes into force from 1st January 2019 that will affect all electrical contractors. The 18th Edition of the IET Wiring Regulations becomes mandatory and is the culmination of over 12 months of preparation to ensure manufacturers and electricians are up-to-speed about the changes so they can remain fully compliant. To ensure electrical contractors have a clear understanding of the changes, Hager launched its industry-leading chatbot ‘Reg’. For the past six months, Reg has been answering thousands of questions and queries from the UK’s electrical community as it looks for guidance on important areas such as product specification and installation methods. The questions have focused on Arc Fault Detection Devices (AFDDs), Residual Current Devices (RCDs), as well as surge protection. Analysing the top five most popular questions posed to Reg, we have found they centred on an explanation about AFDDs, changes to RCDs, where AFDD solutions are required, what type of RCD should be used, and clarification around surge protection. AFDDs are used to help protect electrical circuits in a way that will reduce the risk of it being the source of an electrical fire. It offers additional protection to measures already in place as they are designed to detect low level hazardous arcing which other devices are not designed to detect. What are the changes for RCDs? There will be a requirement to select the appropriate RCD from the four types available. RCDs prevent fatal electric shocks and is a generic term that covers products including RCCB, RCBO, SRCD, FCURCD, CBR and MRCD. They offer a level of personal protection that ordinary fuses and circuit-breakers cannot provide. 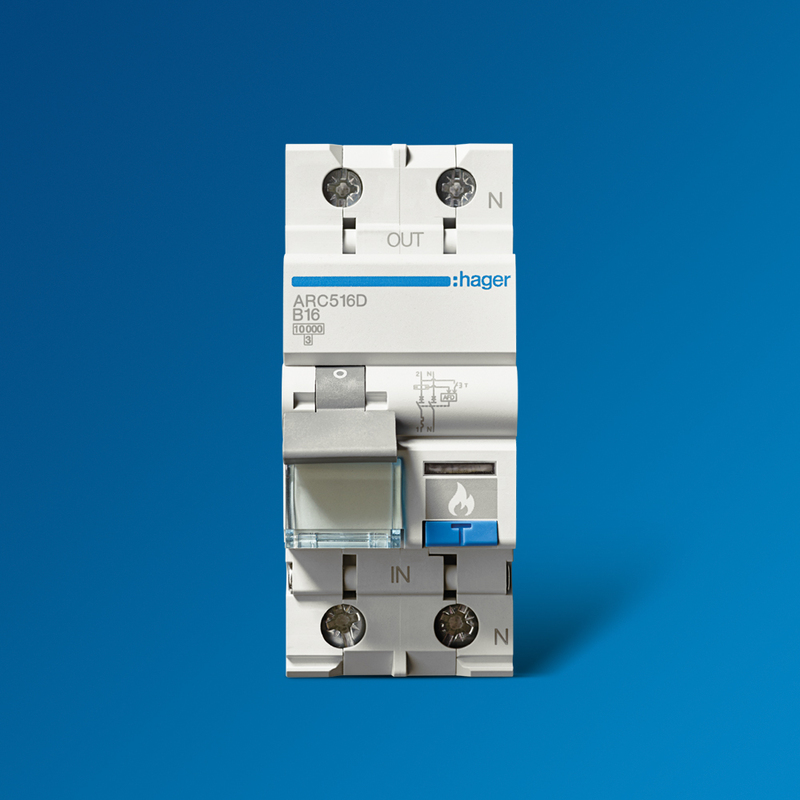 The changes specify that the designer has to now take into account the type of equipment which may be connected to the protected circuit and specify the appropriate device. The new regulations state that arc fault detection devices are recommended as a means of providing additional protection against fire caused by arc faults in AC final circuits. An AFDD should be placed at the origin of the circuit to be protected and examples include premises with sleeping accommodation, locations with a risk of fire due to stored materials and stores of combustible materials, wooden buildings and locations containing irreplaceable goods. The AFDD adds an additional level of protection for electrical circuits and further improves the safety standards for domestic and commercial electrical installations. What are the different RCD Types? Type AC RCD – Type AC RCD is able to detect and respond to AC sinusoidal residual current only. Type A RCD – A type A RCD is able to detect alternating sinusoidal residual current and residual pulsating direct current suddenly applied or smoothly increasing. Type F RCD – A type F RCD is able to detect and respond to high-frequency residual current as well as pulsating DC residual current. Type B RCD – A type B RCD is able to detect and respond to all types of residual current including smooth DC residual current. What are the changes to surge protection? Transient excessive voltage levels which occur over a short time period can be disruptive and dangerous. 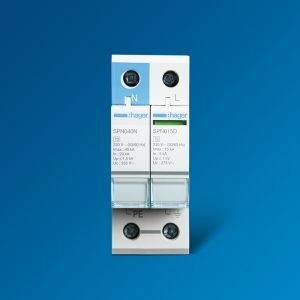 The 18th Edition simplifies previously issued guidance so electricians are clear about what they need to consider for the installation of surge protection devices. The regulations now state that protection against transient overvoltages should be provided where the consequence of an overvoltage results in serious injury or loss of human life, results in the interruption of public services or damage to cultural heritage or results in the interruption of commercial or industrial activities. It will be mandatory that the electrical designer considers and carries out risk assessments. The 18th Edition recommends that where the result of overvoltage could result in any of the scenarios outlined above, then overvoltage protection should be provided. Another area which has seen frequent questions is the topic of overload protection of RCCBs and switches within consumer units. Proposed methods and solutions to ensure future compliance. The white paper – which you can access here – explains the background to the changes and suggests practical solutions to help electricians ensure installations remain fully compliant. Feature – Where’s My Money, Man?